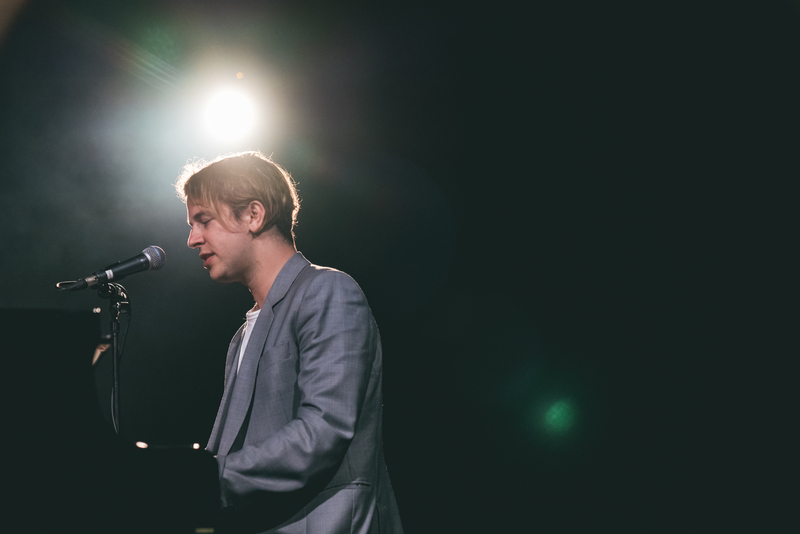 The queue around *SCAPE’s The Ground Theatre snaked around the outside of the building as fans of English singer-songwriter Tom Odell waited to enter the large theatre, flocking at once to the front the stage. 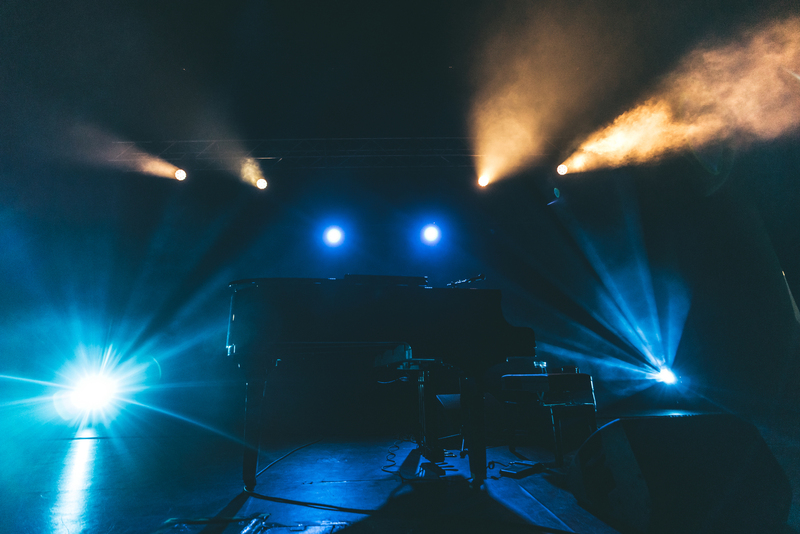 A single grand piano sat atop the otherwise empty stage, which was illuminated by a blue wash. The wait for Odell to step out on stage was almost excruciating. As the theatre started to fill, fans stood stiffly in tense anticipation as house music played for what felt like a few dozen eons during the wait for the start of Odell’s Jubilee Road Tour, a single-day performance of his third and newest album released in October 2018. This concert also boasted a trip down memory lane featuring highlights from Odell’s previous two albums. Excited murmurs of hopeful song requests from the crowd made it clear that they had their own lineups in mind. Finally stepping onto the stage to thunderous applause and cheers, Odell greeted the crowd with a review of his day spent exploring Singapore. To the crowd’s amusement, he remarked how notably red his nose had gotten and how grateful he was to finally see the sun. 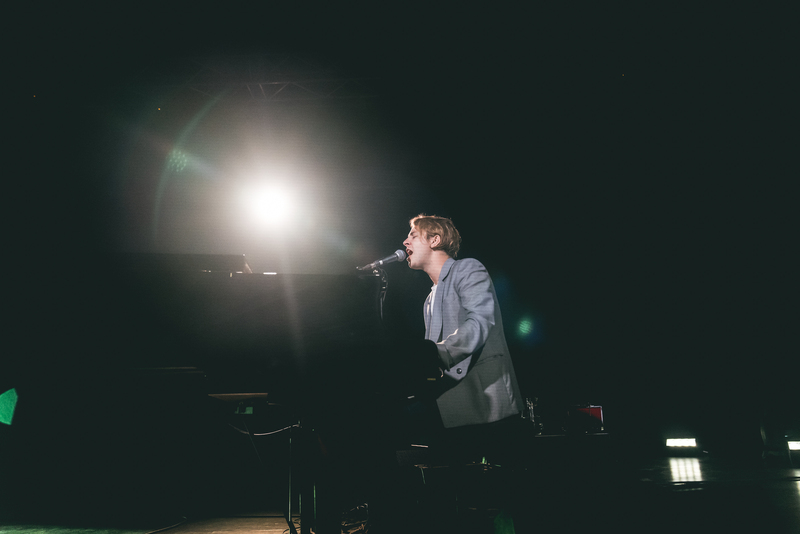 While the singer-songwriter tinkered on the piano as if he could not keep his hands off it, he informed the crowd that he had prepared the night’s lineup in a certain chronological order, which included bringing back a few songs from his previous albums before moving on to highlights from Jubilee Road. 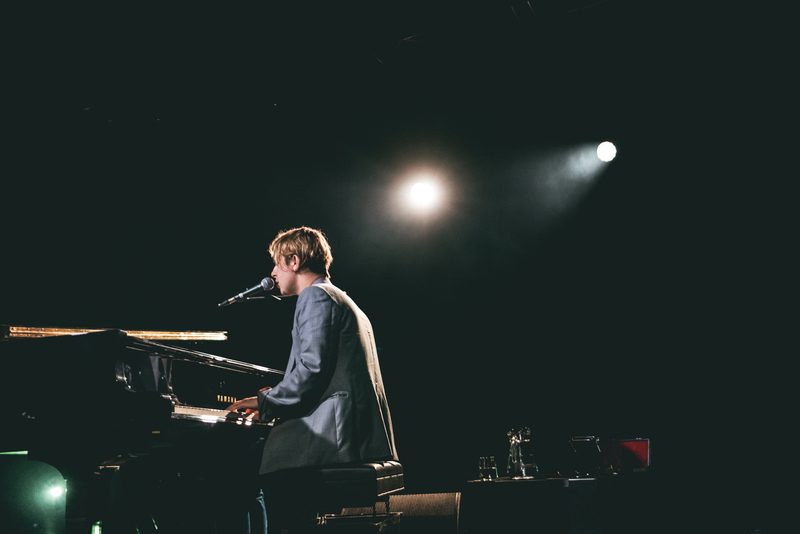 Opening with ‘Sirens’, Odell dived straight into a impassioned performance that at once displayed his musical prowess as both pianist and vocalist, followed by a tender performance of ‘I Think It’s Going To Rain Today’. These two songs, perfectly contrasting each other, started the night flawlessly to a very supportive crowd. It was then that I started to realise how powerful a live performer Odell actually is. His compelling vocals carried impeccably though the theatre’s sound systems. Where Odell is concerned, one cannot help but realise how incredibly different it is to hear his tracks on record, versus seeing him lay his heart bare to the music onstage. In between songs, Odell addressed the crowd, often lapsing into a struggle to find the right words to explain the stories behind his works. What particularly stood out was the story of the hit track ‘Grow Old With Me’ from Odell’s first album, Long Way Down, a song apparently used in weddings as an expression of everlasting love. According to Odell, the song was written about a heartbreak he suffered from a girl he loved very much but knew he would never have a future with, but to whom he had decided to address this song to anyway. This pre-cursor before Odell started playing the song left the otherwise enthusiastic crowd remarkably silent for a moment as the atmosphere weighted with how bittersweet and painful this song truly was. After wooing the crowd with favourites like ‘Wrong Crowd’, ‘Magnetised’, and ‘Constellations’, songs from his previous albums, Odell finally eased into the tender Jubilee Road with a brief description of what inspired his newest album: The street on which he lived and which he looked out to from a window — a view Odell described as what looked like ‘looking out to a snow globe’ (this explains the gratitude for the sun). We could almost see the images of the place, Jubilee Road, that he must have held in mind as he sung and played the title song, high-strung with what seemed like nostalgia, fatigue, and a tinge of longing. The song at the apogee of the album, ‘If You Wanna Love Somebody’, was a personal favourite I had been anticipating which displayed Odell’s vocal fortitude and passionate, musical virtuosity. This particular song ended far too quickly to applause, that, to my annoyance, drowned out and dissipated a highly charged and beautifully tense atmosphere that Odell had built with his powerful vocals and rhythmic piano accompaniment. Juxtaposed with his more upbeat songs was ‘Don’t Belong In Hollywood’, another song through which Odell wrung his heart dry before surprising the crowd by sharing an untitled song with us, a gentle and heartbreaking work-in-progress which he said will most likely make it to his upcoming fourth album. This was followed by a heart-wrenching performance of the renowned favourite ‘Another Love’ to the last and loudest round of applause. Odell exited the stage way too quickly, but the magic of the music undoubtedly remained. Having heard an untitled snippet of his upcoming work with the crowd that night, fans in Singapore can only sit in feverish anticipation for a fourth album from this award-winning musician. As we wait for Odell to return to Singapore with his next album, he leaves us with memories which remind us that everything worth having is worth waiting for. Special thanks to Live Nation Singapore for the invite.